View of the auditorium of the Ritz Theatre. 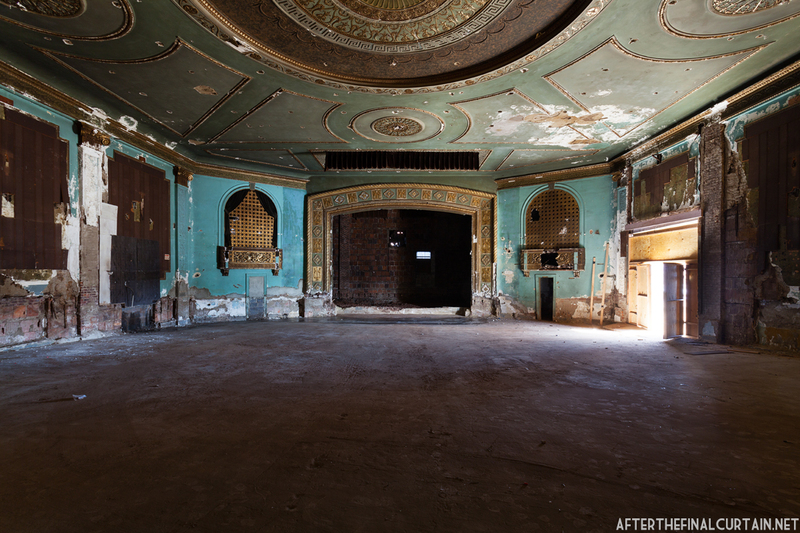 The Ritz Theatre in Carteret, New Jersey originally opened on September 1, 1927. According to an article in “The Carteret Press,” which ran the the week before the opening, “it [was] the first modern theater to be erected in the borough and is up-to-date in every respect.” The 1,000 to 1,200 seat Ritz (accounts on the number of seats differ) was designed by local architect John Gliva. 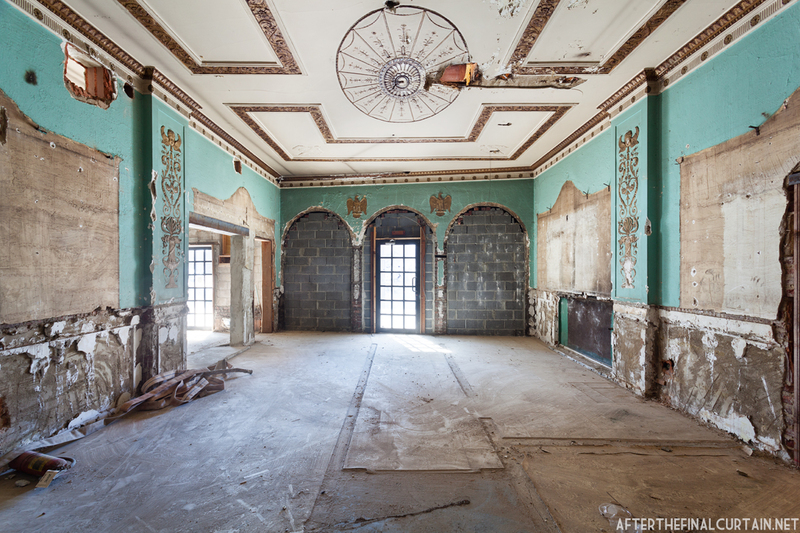 It was a vaudeville and silent film house until September 1928, when a Western Electric sound apparatus was installed to allow for the showing of “talkie” films. The lobby of the Ritz Theatre. 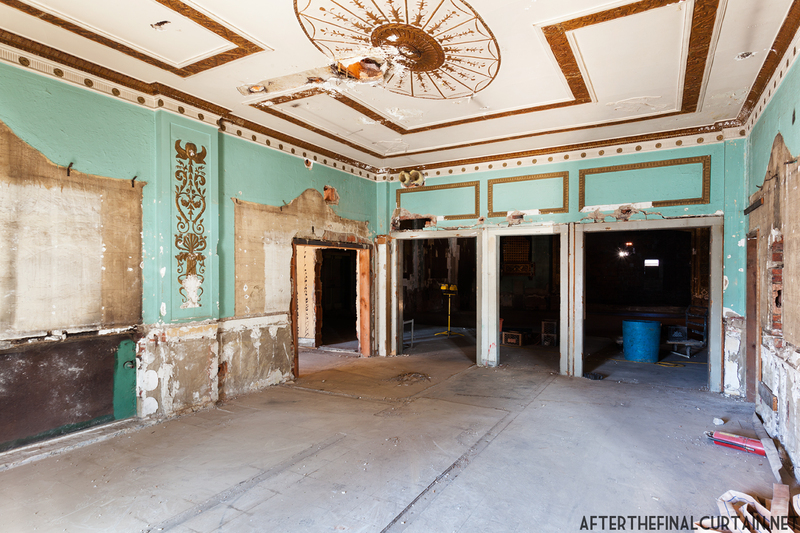 The theater closed on January 31, 1965, and the building was converted into a sewing factory. 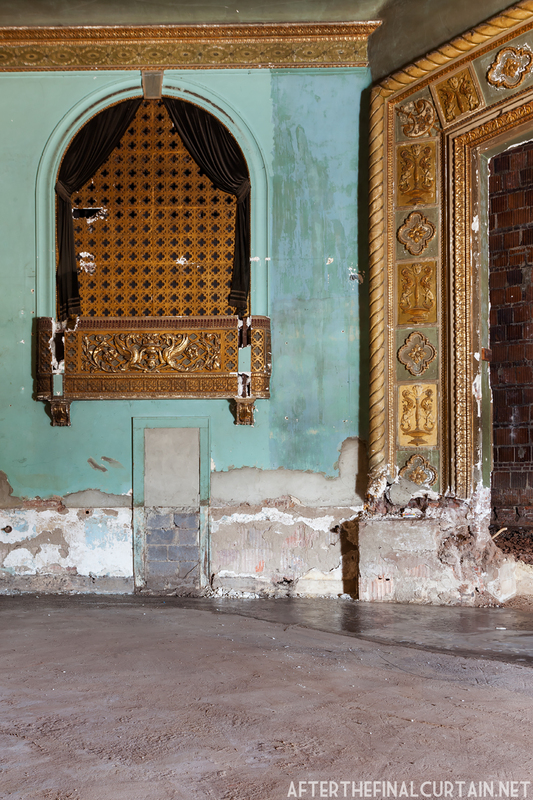 However, during the conversion the building was not gutted — instead, walls were built inside the auditorium, which covered and protected the ornate plasterwork. 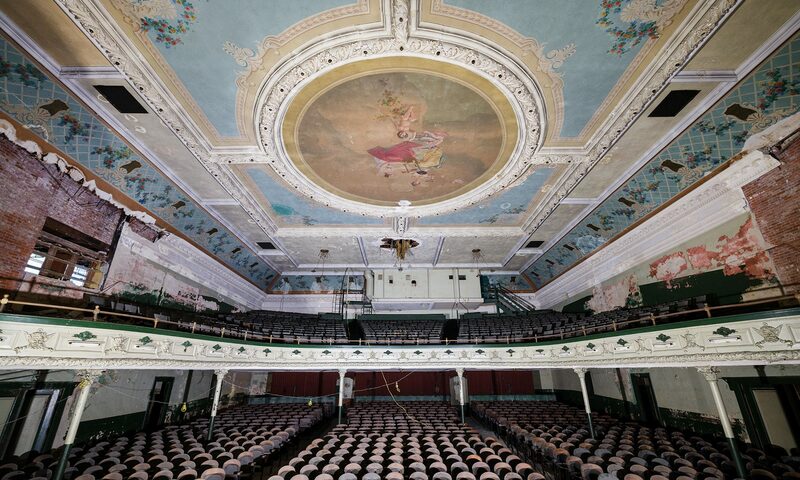 After the bakery that had been occupying the building since the 1980’s closed in 2013, the borough of Carteret took possession and discovered the protected auditorium behind the interior walls. 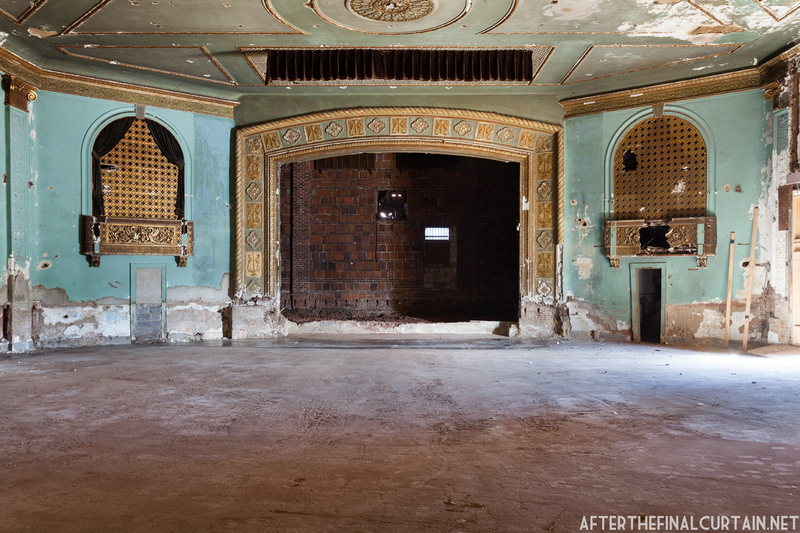 Carteret planned to restore and expand the Ritz into a 1,600 seat performing arts center and movie theater. In 2015, the borough received a $6 million grant from the Middlesex County Cultural and Arts Trust Fund to be used for the new performing arts center. 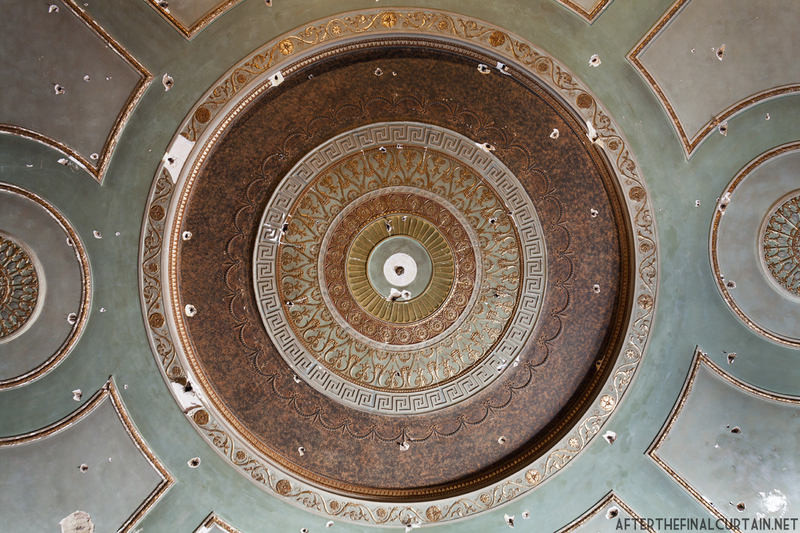 However, a structural survey conducted during the planning stages revealed that the cost of restoring the existing structure would be cost prohibitive and the theater was demolished in early August 2017. The opening of the Carteret Performing Arts Center is planned for 2018, and will host live music and cultural events, off-broadway plays and comedy acts. A portion of the new building will honor the original Ritz Theatre. 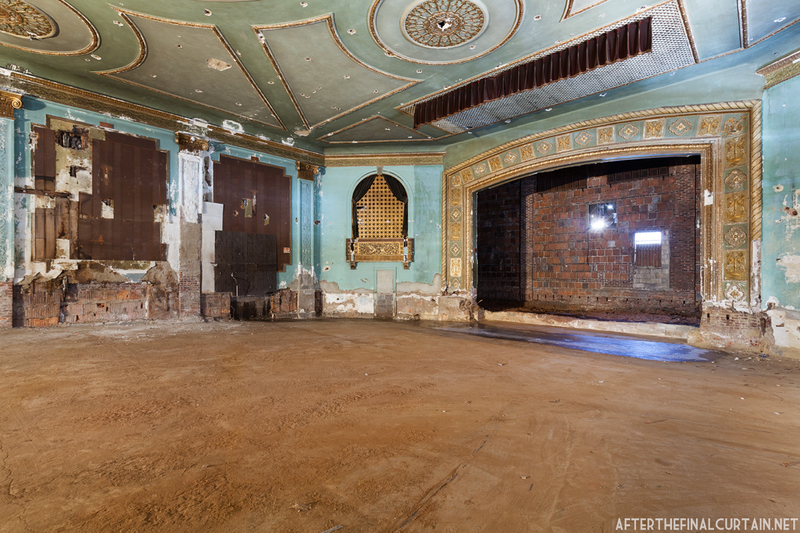 The walls of the theater were hidden for almost 50 years. According to the Encyclopedia of the American Theatre organ, the Ritz had an organ built by the United States Pipe Organ Company opus 153, size 2/4 with a 3HP blower from Kinetic Engineering Company. View of from the rear of the auditorium. My first book, After the Final Curtain: The Fall of the American Movie Theater is out! It’s available on Amazon, Barnes and Noble, or at your local bookstore. Signed copies are available on my site. Unable to locate a a copy of your Kings Theatre Brooklyn book. Was it ever published? The online photo build up to the scheduled publication was stunning. Richard – the book was slightly delayed, but it should be coming out very soon. There was a Ritz Theater on E. 180th St. in the Bronx, of which a picture is available of the exterior from Back in the Bronx website. It originally showed silent films and as a kid in the 40’s the matinee double feature admission was 12-15 cents. I wonder if back stage was really that shallow, or if it has been filled in. Jody – I believe it was always that shallow. 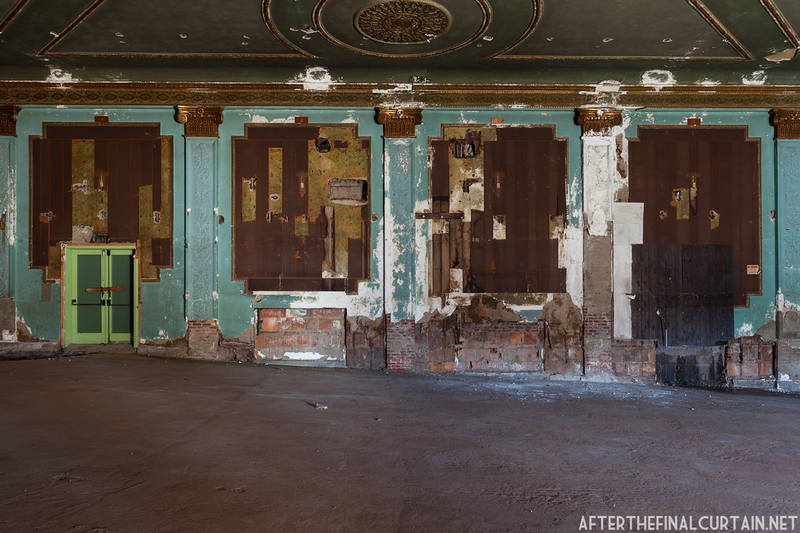 The material on the stage back wall is the same as in other parts of the building that were definitely not altered.